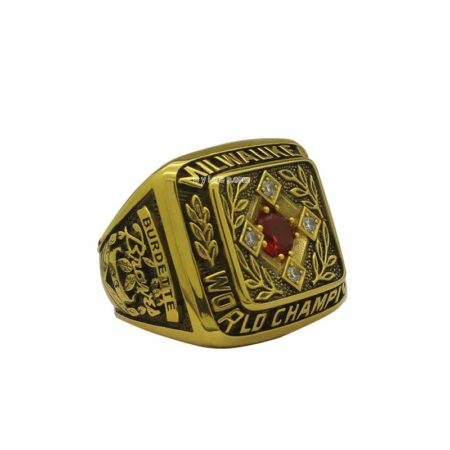 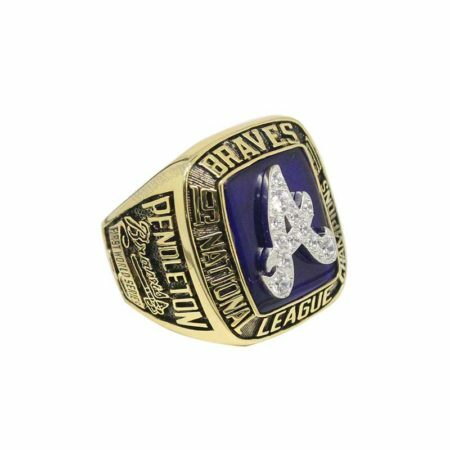 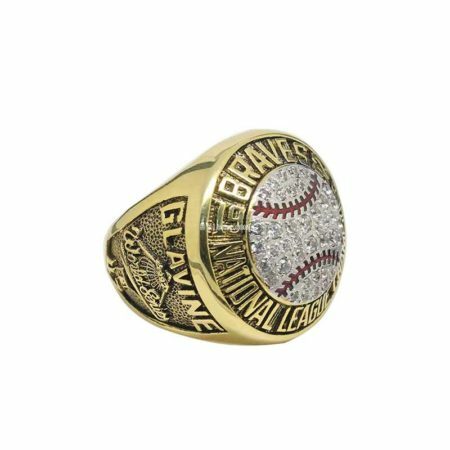 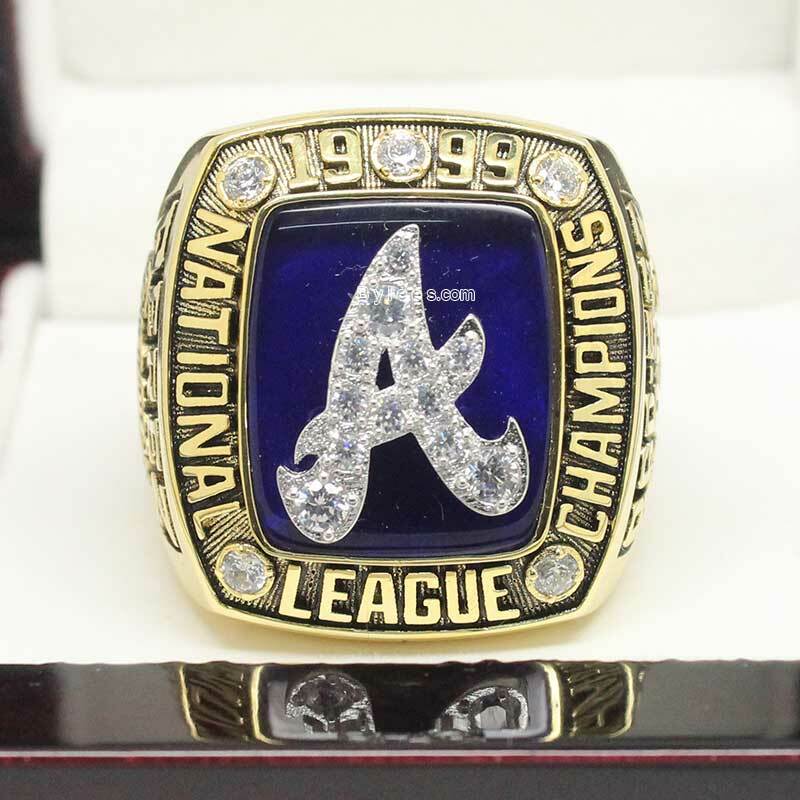 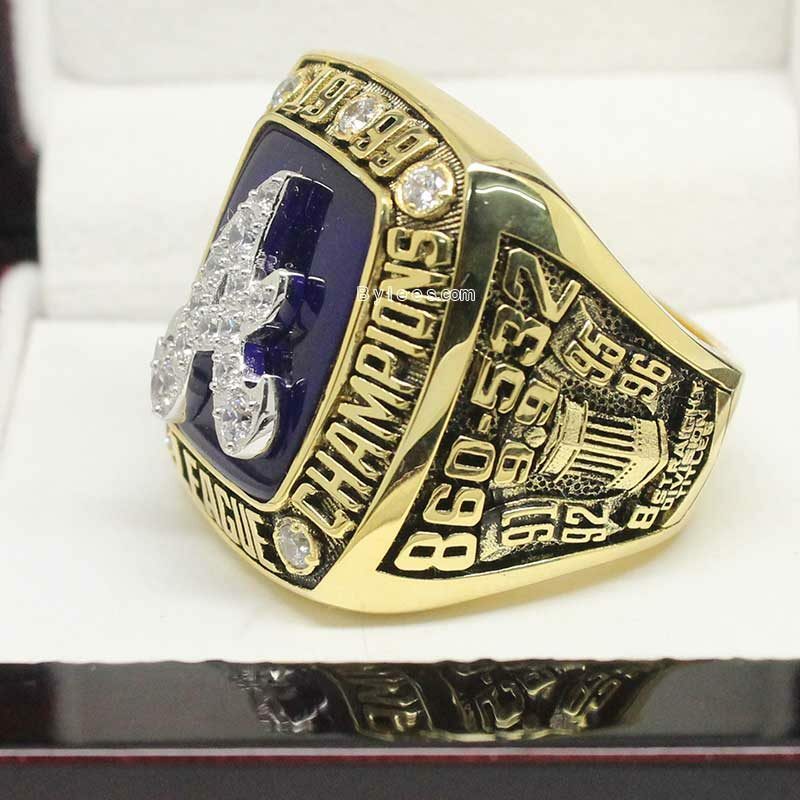 With the winning of 1999 Atlanta Braves NL Championship ring, there are five atlanta Braves Championship rings for Atlanta, This 1999 AL title ring is highly similar to the 1991 Al title Ring, both were engrave with the Atlanta Braves’ Cap insignia at the top, somehow like the start and the end of the dominance. 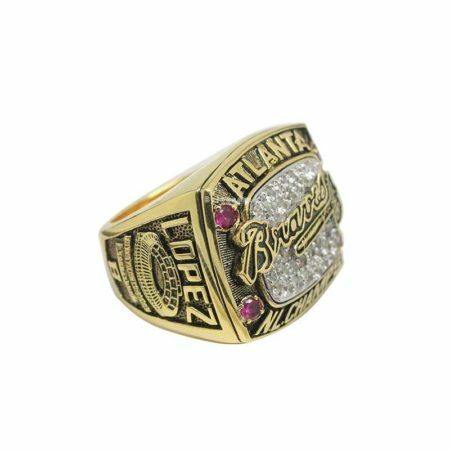 Two key players on the 1999 Braves were Chipper Jones & John Rocker. Jones won the NL MVP award with a .310 average, 45 HRs, 110 RBIs, and sealed the award with his September heroics against the New York Mets. 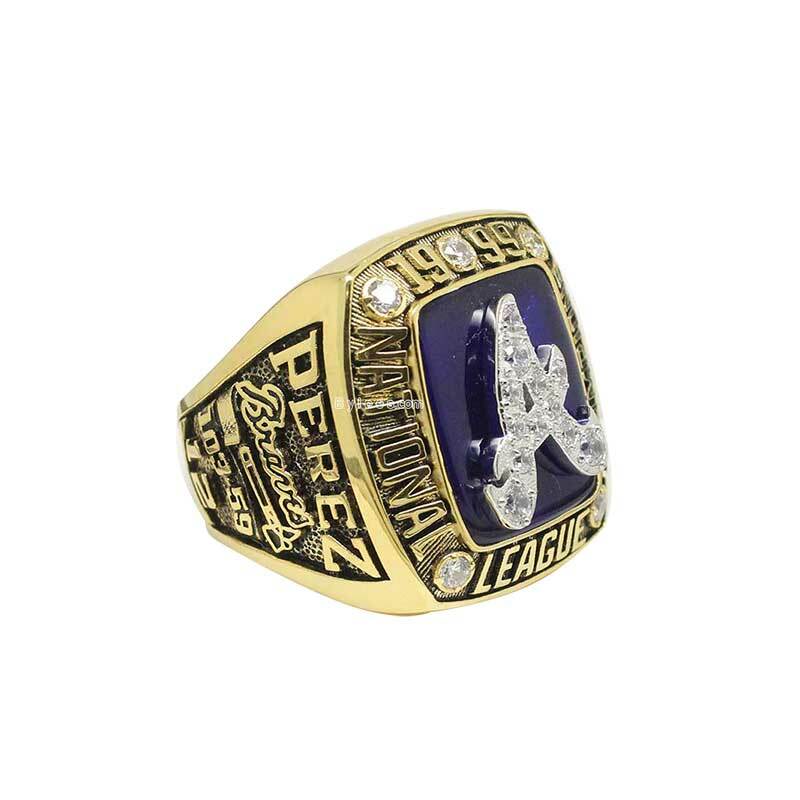 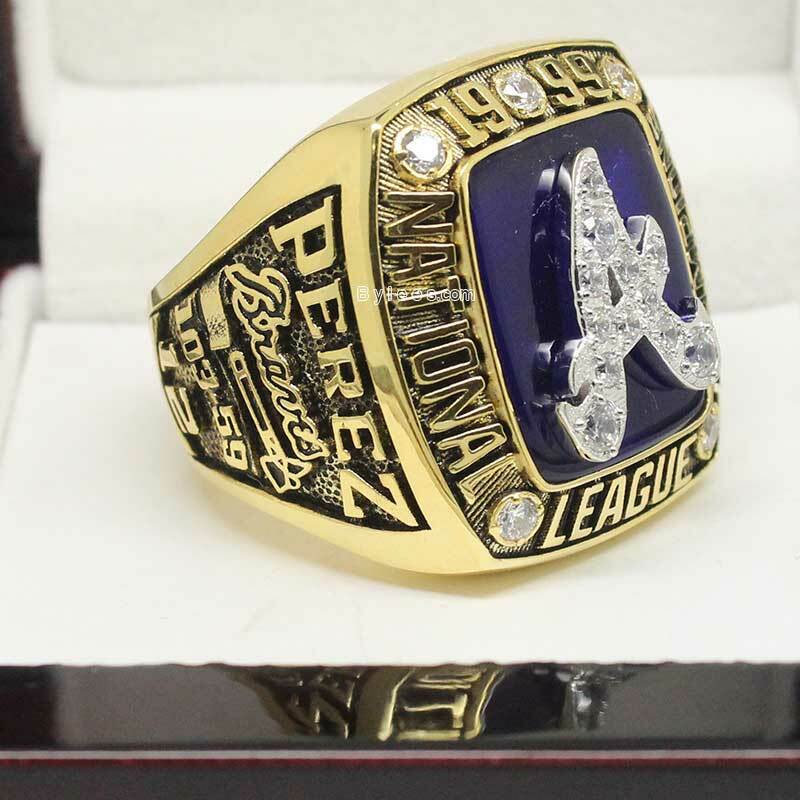 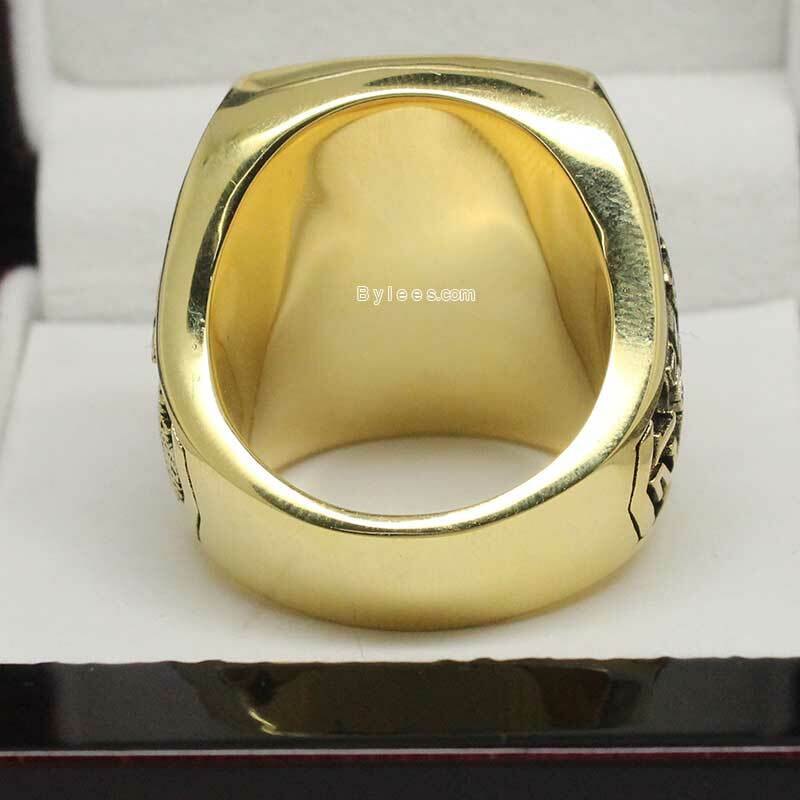 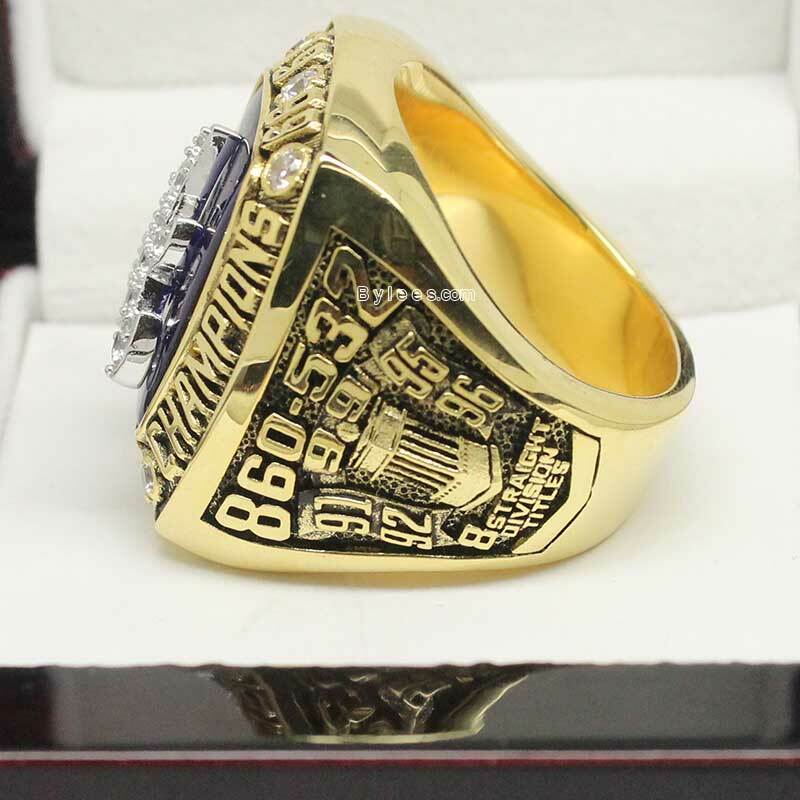 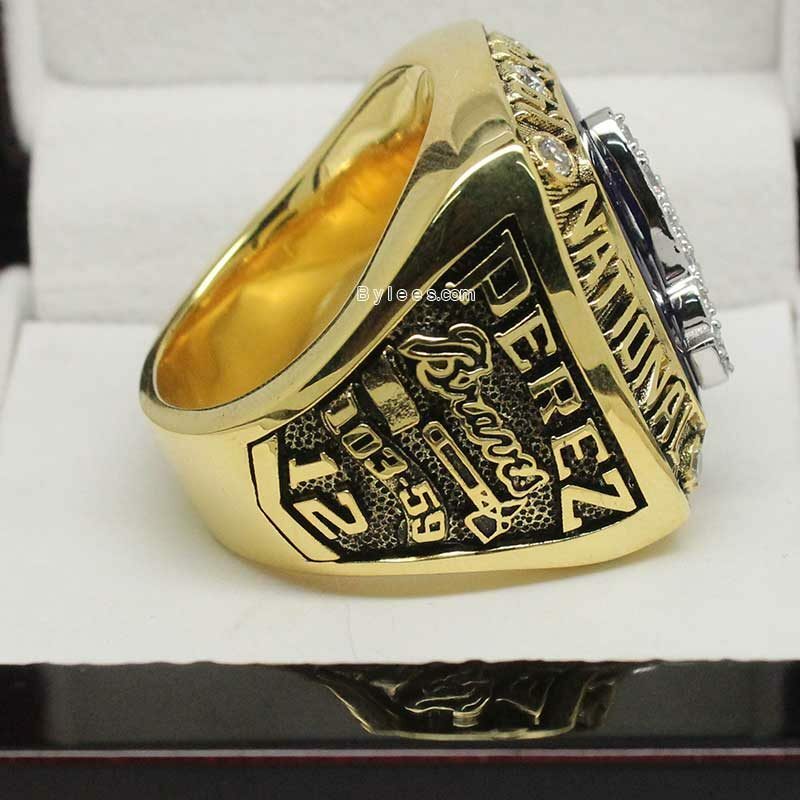 But the version here is Eddie Pérez braves Championship ring.